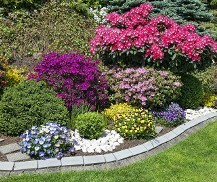 Keep your garden in beautiful shape with upkeep from our specialists. Ring Steve Molyneux Tree Care of Hastings, East Sussex, for handy garden maintenance that creates a tidy landscape for you to enjoy. Keep on top of your garden with help from Steve Molyneux Tree Care. We offer site and garden clearance. Whether you have a small garden or a large development site, we’ll remove any form of vegetation. Our company then recycles the unwanted wood as woodchip, mulch, or hardwood logs. Don’t be deterred by the red tape when the tree you need to treat has a preservation order or is in a conservation area. Steve Molyneux Tree Care will advise on all the details during the quoting process, and liaise with the local authority to submit the relevant forms for you. Come to us for a host of handy by-products, which we produce from the leftovers of our tree surgery. Steve Molyneux Tree Care supply and deliver one tonne bags of seasoned hardwood logs, which are ideal for using as firewood. We also sell woodchip mulch by the cubic metre. You can also buy your choice of woodchip, which comes in two varieties. Our seasoned dark brown woodchip offers a more attractive, ornamental application. We also offer a more affordable option with fresh and recently produced woodchip. Call now to discuss our prices. Contact Steve Molyneux Tree Care for helpful garden maintenance that will create the outdoor space you desire.